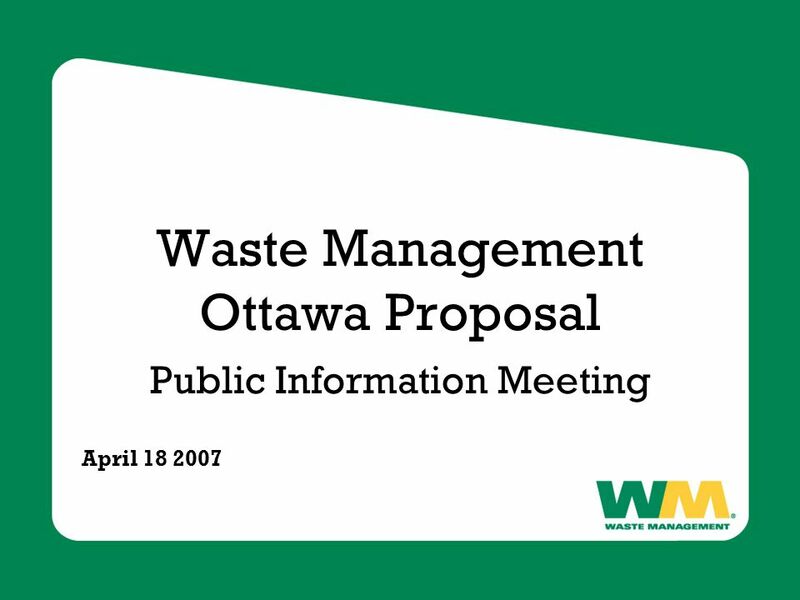 Waste Management Ottawa Proposal Public Information Meeting April 18 2007. 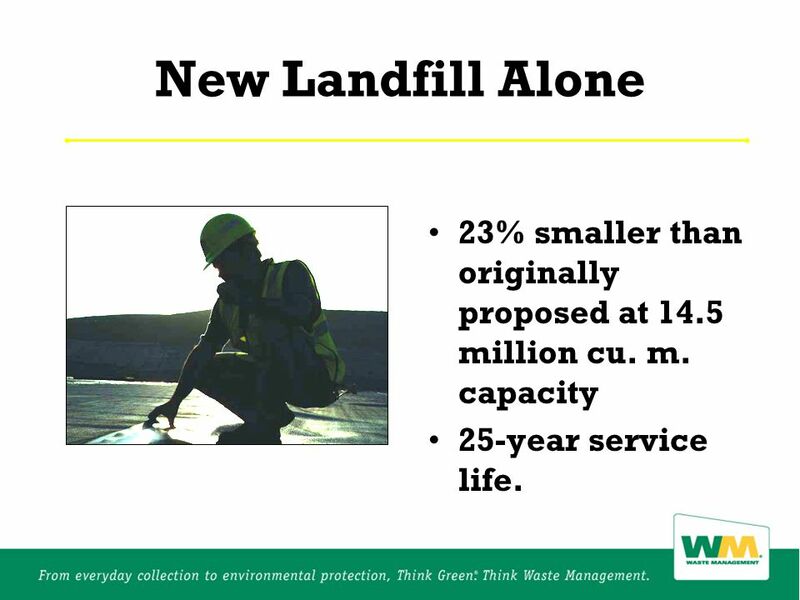 7 New Landfill Alone 23% smaller than originally proposed at 14.5 million cu. m. capacity 25-year service life. 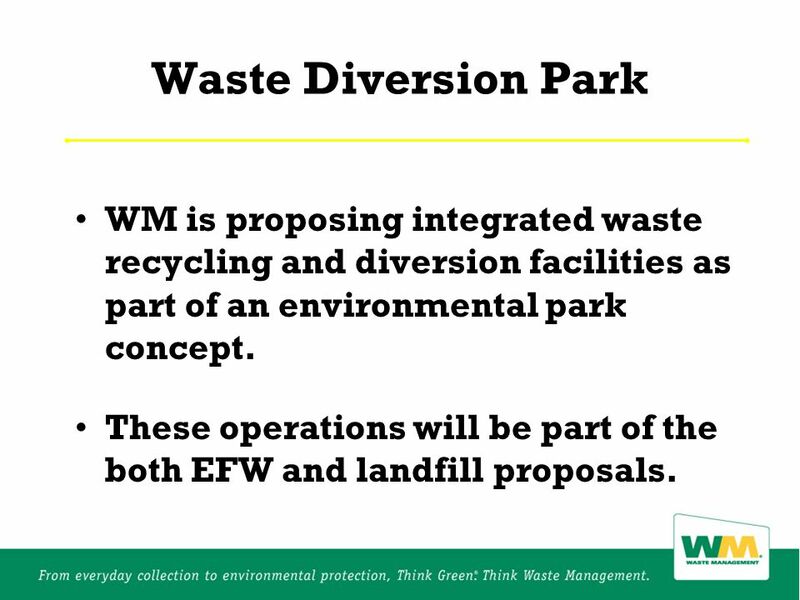 8 Waste Diversion Park WM is proposing integrated waste recycling and diversion facilities as part of an environmental park concept. 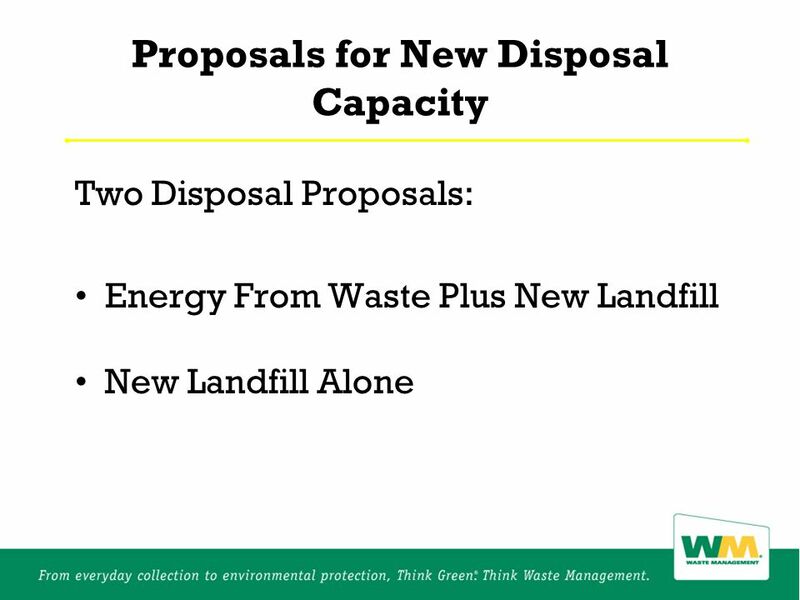 These operations will be part of the both EFW and landfill proposals. 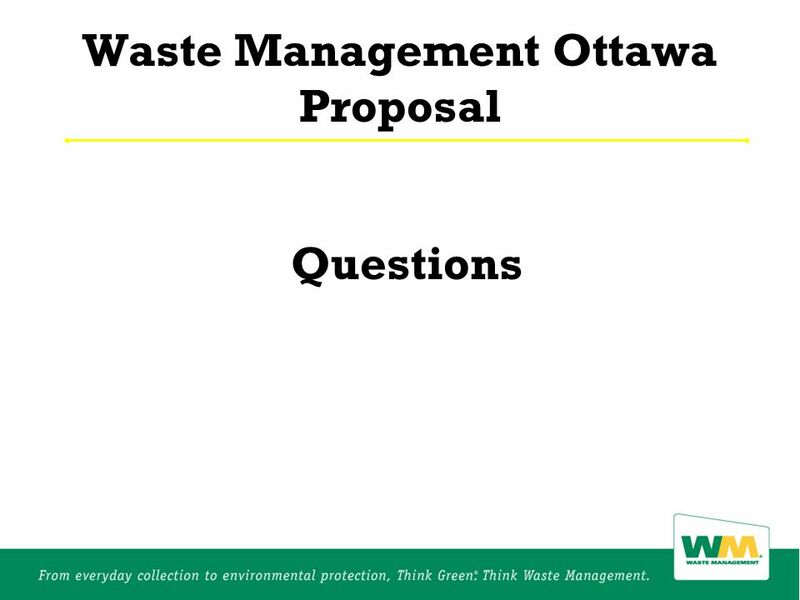 Download ppt "Waste Management Ottawa Proposal Public Information Meeting April 18 2007." Proposed UK Strategy for the Management of Solid Radioactive Waste from the Non-Nuclear Industry Katherine Mondon – representing the Department of Energy. 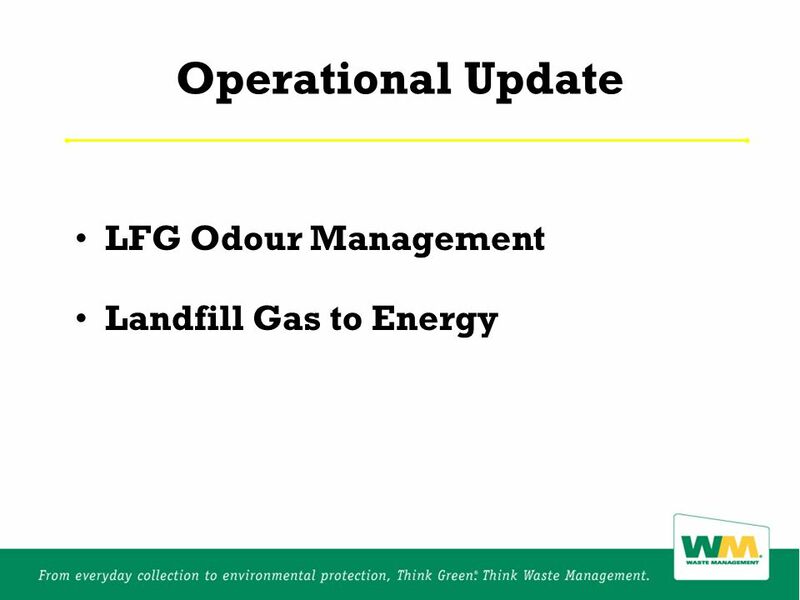 Energy from waste Kerrie Ginns Planning Liaison Officer Duncan Beaumont Pollution Prevention and Control Officer 28 May 2012. Remuneration of using Green IT June 18, Agenda Approaches to green computing Drivers for adopting green technologies Progress so ICICI Financial. 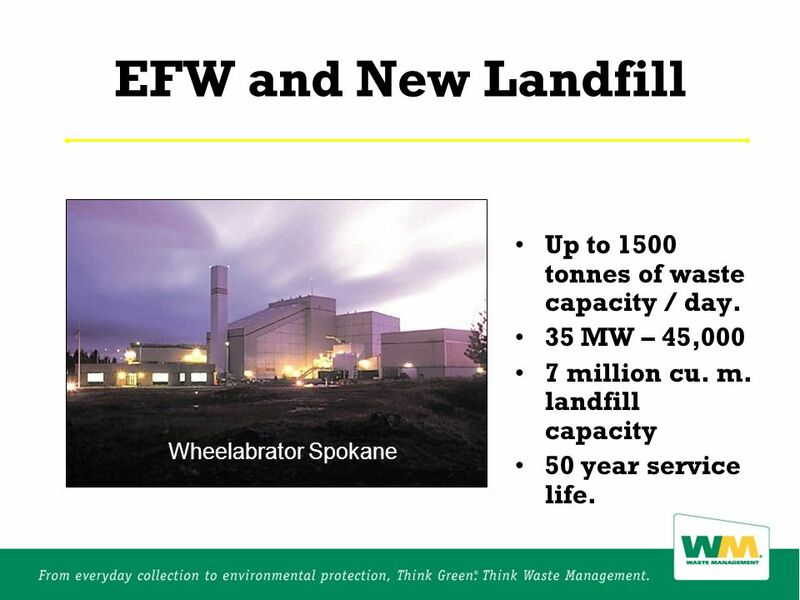 Resource and Energy Recovery Facility A technological breakthrough that redefines the waste-to-energy category June 26, 2009. Presentation to the Florida Public Service Commission November 29, 2007. January 19, 2007 Renewable Energy Potential in Florida. 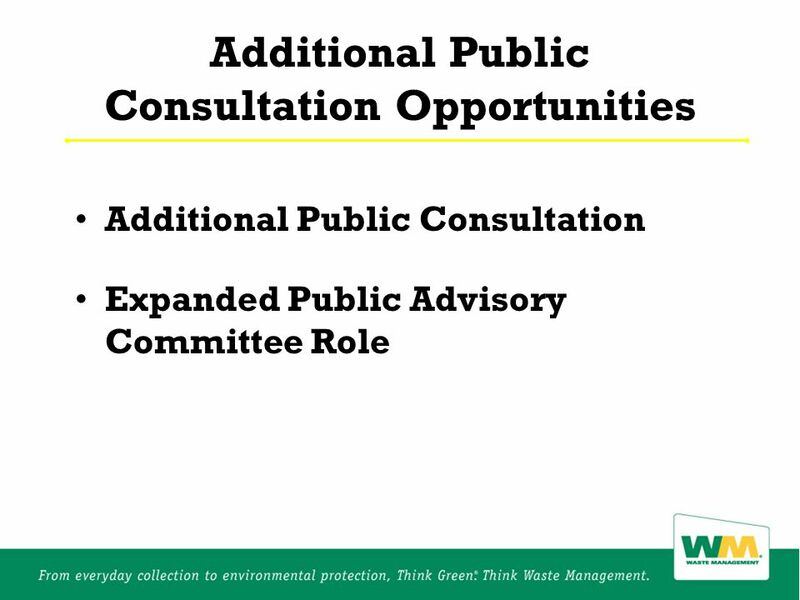 Consolidated 5 Year Plan and 2010 Community Development Block Grant Project Recommendations. Strategy 1 – Infrastructure QB.1 Utilize internal construction management services for 75% of projects falling under the formal State/County monetary thresholds. 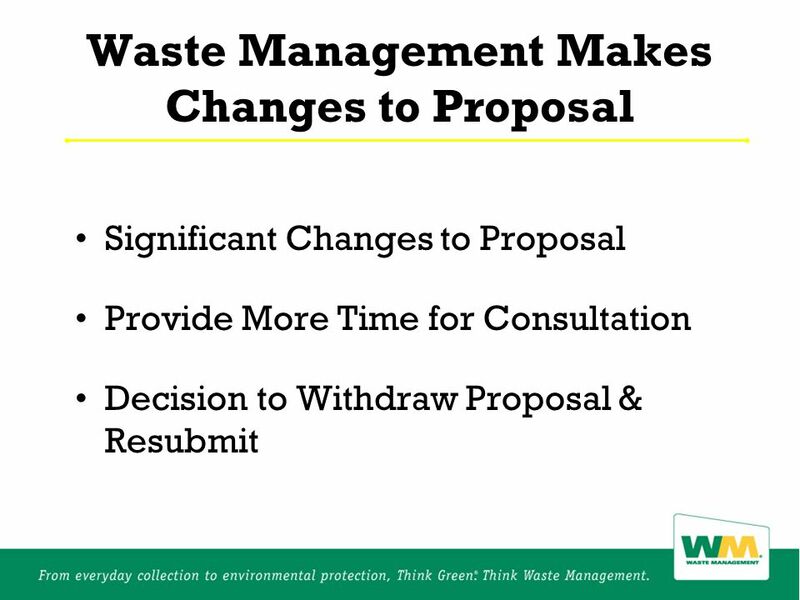 Its in the Bag - Agricultural Plastics Recycling Workshop Alberta Updates. 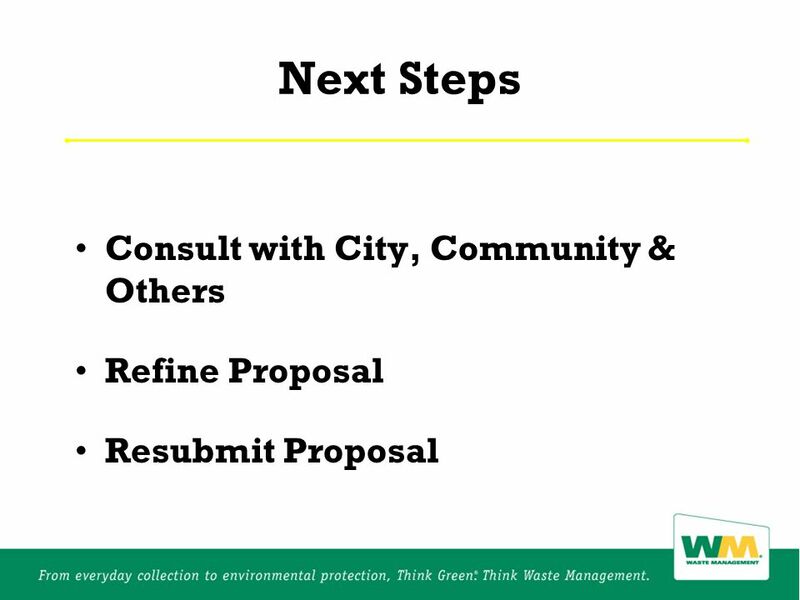 For a CLEAN GREEN Dallas New Once-Weekly Service for Recycling and Garbage Town Hall Meeting February 7, 2008. 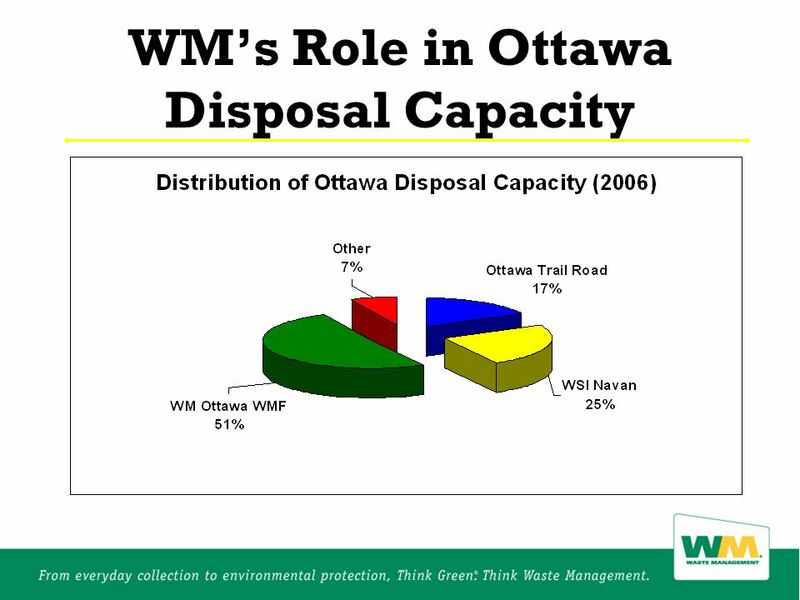 © WRI & WBCSD, 2010 Metropolitan Washington Council of Governments (COG) Recycling Committee Meeting March 18, 2010 Greenhouse Gas Protocol Product/Supply. 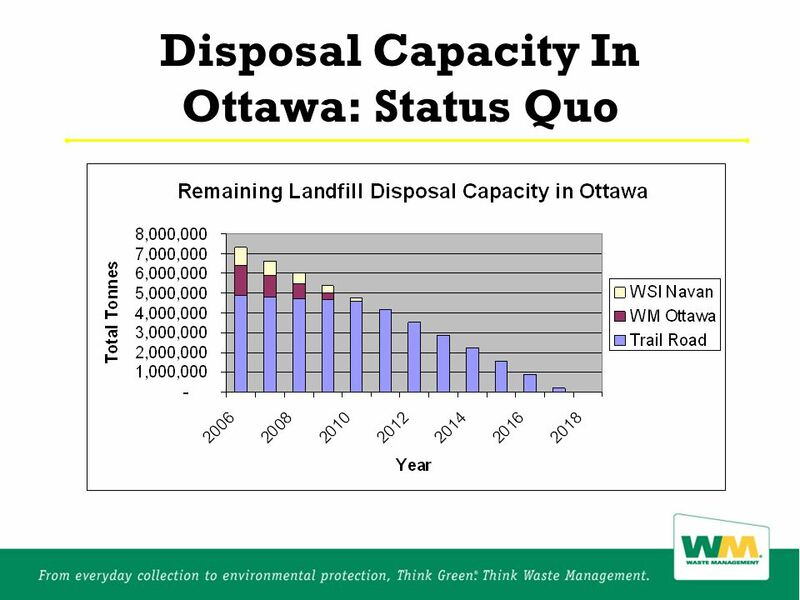 Municipal Waste Futures Bureau of Waste Management. 3Rs update Sue McCrae, Chair, MWA MWA Fall Workshop October 2012. RETHMANN ENTSORGUNGS AG & CO. KG FEAD Congress 28.05.2004 in Stockholm Egbert Tölle RETHMANN Entsorgungs AG & Co. KG - Member of the Board - Waste Shipment.